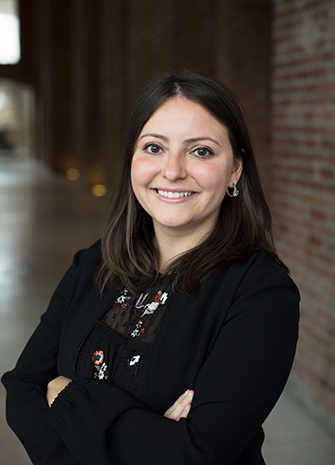 Margarita Karasoulas joined the Brooklyn Museum in October 2017. She has previously held curatorial positions at the Delaware Art Museum, Bruce Museum, and Amon Carter Museum of American Art. Most recently, she curated The Puzzling World of John Sloan (2015) at the Delaware Art Museum and Electric Paris (2016) at the Bruce Museum. She has also contributed to catalogues for the exhibitions Electric Paris and An American Journey: The Art of John Sloan (2017), and her scholarship has been published in Athanor and Panorama: Journal of the Association of Historians of American Art. Karasoulas is a Ph.D. candidate in the Department of Art History at the University of Delaware and holds an M.A. in Art History from Southern Methodist University and a B.A. in Art History and History from Lafayette College. She specializes in nineteenth- and early twentieth-century American art, with a particular focus on early American modernism, issues of race and representation, and the history of photography. She is currently at work on a dissertation that examines Ashcan School imagery of immigration in New York at the turn of the twentieth century, for which she has received fellowships from the Luce Foundation/American Council of Learned Societies, Smithsonian American Art Museum, and University of Delaware.